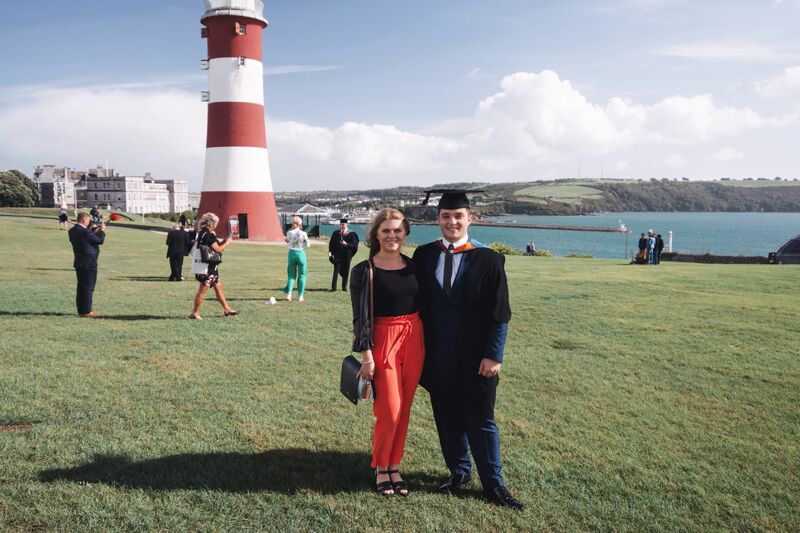 As you may or may not know from my Instagram, my boyfriend Aaron recently graduated from Plymouth University. I am so proud of him I could burst! It made me so excited to attend my own graduation (which isn’t actually until next year, still got my final year of uni to go yet) as it truly was such an amazing day. My first thought I had when he told me the date of his graduation was: sh*t what am I going to wear? I knew that graduation fashion was similar to wedding fashion, but I haven’t really been to many weddings either. I also had that panic that I’d be too under or overdressed. And the panic that I wouldn’t be able to buy something that I liked and then get it altered in time (being 5ft and buying occasion wear doesn’t come easy). I wanted to look stylish, but classy and comfortable at the same time. 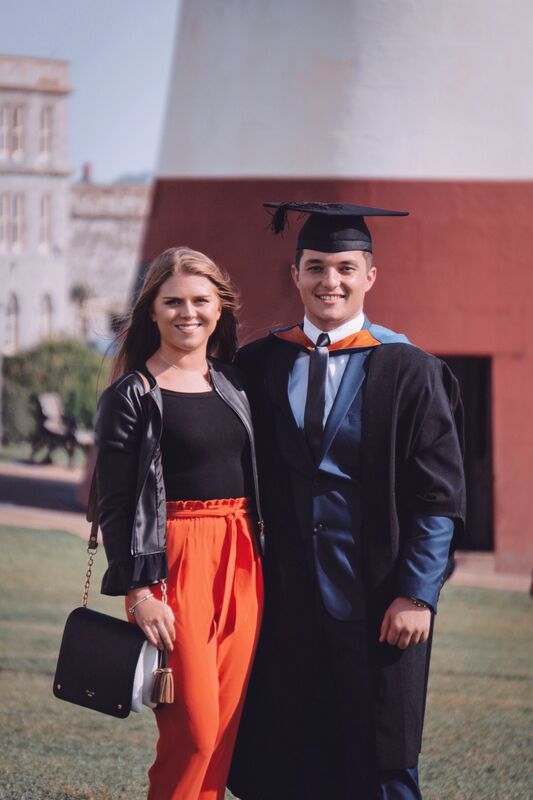 As you can see I opted for some bright orange trousers to add a pop of colour, which actually happened to match Aaron’s graduation robe, haha! I was so happy when I found these as they were in the sale (River Island at ASOS), AND in the petite range! They have an elasticated waist which also made them super comfortable. I kept the rest of my outfit simple with all black. A slight off the shoulder bodycon top with my fave leather jacket, and my fail-safe chunky heeled sandals for ultimate comfort. I was very pleased with the overall look if I do say so myself! I know a lot of people struggle to gain inspiration for what to wear as a graduation guest and finding occasion wear in general, so I thought this post would be particularly helpful. Of course this is just a little bit of inspiration. Feel free to choose something that you like and find other things that aren’t on here to go with it. Or, use things from here to inspire you to find something a bit different! I just hope this acts as a general guide to help you find your dream outfit. Do let me know if you found this helpful – I know how hard it is to choose the perfect ‘dressy’ outfit sometimes! Do you struggle to choose what to wear when it comes to special occasions? Have you ever been a graduation guest? What’s your favourite piece from this post? Is My Style Too Boring For Fashion Blogging?